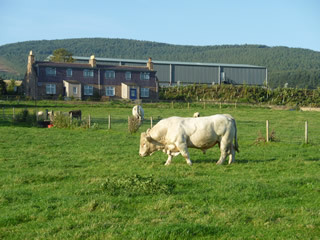 The MacRobert Trust estate is home to over 5,000 acres of farmland divided into nine main farm holdings. The main enterprises are barley for malting and stock feed, wheat largely for feeding, and grassland for beef. Lady MacRobert originally farmed around half of the estate and the other half was let. This arrangement continued after Lady MacRobert’s death in 1954 until 1986 when Trustees decided to let out all the remaining farms. We aim to operate and present a successful, sustainable and profitable estate in support of the Trust’s overall charitable objective. We work closely and proactively with all our tenant farmers to achieve this, whilst at the same time making appropriate provision for the wider interests of the environment, ecology and access. 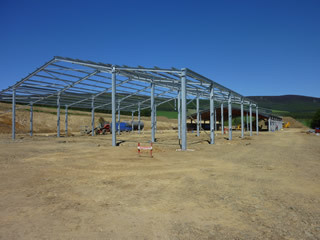 We also aim to make appropriate capital investments in farm buildings to support the modern farming operations of our farm tenants. The standard of farming on the estate is extremely important to us and we work closely with our tenants to help them farm the land sustainably; financially, socially and environmentally. In keeping with the spirit of Lady MacRobert’s passion for both agriculture and young people, we believe it’s crucial to bring the younger generations into farming. We know all our farming families personally and are proud that most of our farms have a father and one or more sons running the units. We are also committed to facilitating new entrants to farming when opportunities arise. 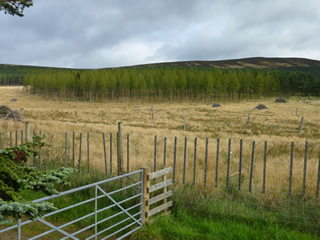 There are around 1,900 acres of commercial forestry on the estate with a stock of over 60% Scots Pine. The management of the woodland is guided by our Long Term Woodland Plan, now a requirement of the Forestry Commission. The Woodland Plan has been in place for over ten years and its main objective is to ensure a reasonably steady flow of timber, improve the financial position, improve the quality of the woodland and enhance environmental interest. To support this, we have a programme of thinning and clear felling and restocking.